Microsoft has added several settings to Group Policy to allow for management of application compatibility. This section looks only at policy settings that strictly deal with running legacy applications. The policy settings are shown in Figure 8. Figure 8. 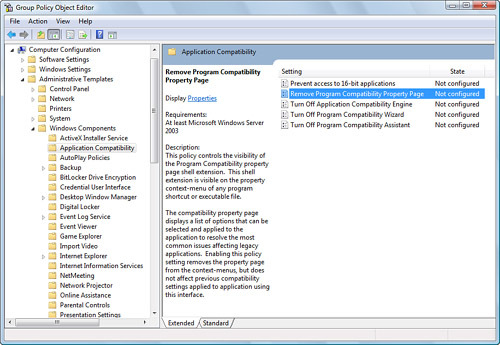 Group Policy Application Compatibility. These policies are found under Computer Configuration > Administrative Templates > Windows Components > Application Compatibility. There are five policy settings; these same five policies have been available since Windows XP. The Group Policy known as Prevent Access to 16-bit Applications prevents the execution of the NT Virtual DOS Machine (NTVDM.exe) subsystem when enabled. This effectively disallows the running of any 16-bit DOS applications because they depend on the NTVDM.exe subsystem. This same Group Policy is also available as a User Configuration policy.  If you want to increase the performance of a Windows Vista system at the expense of computer stability, you can enable the policy Turn Off Application Compatibility Engine. This policy disables the application compatibility engine and removes a subsystem that degrades the performance of a computer. One major side effect is that applications that normally would have had a warning or would be blocked from installing are no longer restrained. This means it is possible for a local administrator to install an application on a desktop that could result in a computer being rendered useless. Consider Before Turning Off the Application Compatibility Engine This issue is extremely problematic because applications that are clearly not created for Windows Vista could be installed and cause a computer to “blue screen.” For instance, an end user could install an antivirus application meant for an older Windows operating system and cause the computer to crash, all just to save a buck (and who has not thought of such a thing?—saving a buck that is, not causing the crash...). Therefore, be sure to take this situation into consideration when enabling this policy. The Program Compatibility Assistant (PCA) is a subsystem that monitors applications initiated by users and offers resolutions to compatibility issues when an application that is not configured with appropriate compatibility settings tries to install or run. Enabling the policy Turn Off Program Compatibility Assistant effectively disables the PCA subsystem but again provides a boost to the performance of the computer. The PCA also depends on two services to operate: the Diagnostic Policy Service and Program Compatibility Assistant Service. To disallow the use of the Program Compatibility Wizard, you can enable the policy Turn Off Program Compatibility Wizard. This disallows the use of this wizard to create program compatibility settings but still allows access to the Compatibility tab of any application to configure compatibility settings. The Application Compatibility Toolkit (ACT) 5.0 is a massive management tool that helps to identify compatibility issues in applications that are to be deployed on specific Windows platforms. ACT 5.0 allows an organization to collect data on all applications in the environment. A complete inventory of all applications is essential to understand any possible conflict between two or more running applications. ACT then analyzes that data to show possible compatibility problems. ACT uses a community approach that offers research from other IT administrators. ACT can then be used to prepare solutions, test the solutions, and help in deploying the solutions to help mitigate the compatibility issues discovered. Using this tool, you can be proactive in deploying Windows Vista with known applications. You can then deploy application and security updates or modify configuration settings within the images of Windows Vista to mitigate compatibility issues prior to deploying Windows Vista along with the current applications. ACT 5.0 can be downloaded from http://www.microsoft.com/downloads/details.aspx?FamilyID=24da89e9-b581-47b0-b45e-492dd6da2971&displaylang=en. Be sure to read the requirements for running ACT 5.0 prior to running the installation.